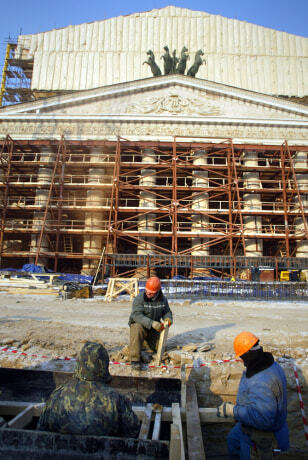 The facade of the famed Bolshoi Theater in Moscow is covered in scaffolding as work continues on a major restoration. The work is intended to bring the theater in line with the technical demands of modern ballet and opera productions. It is due to reopen its doors in March 2008.